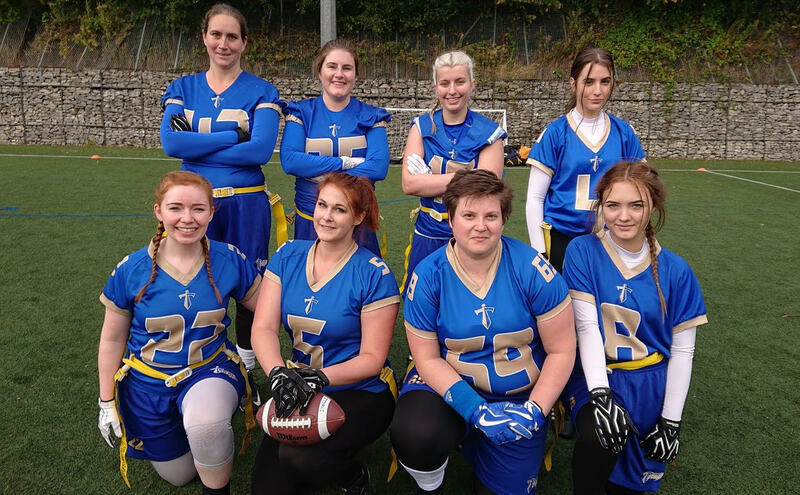 The Manchester Titans Women’s Flag Team made their 2nd trip to Sheffield to play in the 2nd Opal Tournament of the season on Saturday 20th October, down a couple of players but still optimistic after a 3 & 1 start in the first tournament. Natalia Bradford stepped in at Centre for Vicky Evans who was inconveniently on Holiday in the USA. The first game of the day was a tough match up against the undefeated Sheffield Giants team who with GB talent and a wealth of experience will be title contenders. The first half was a tale of 2 offences, Sheffield scoring on 4 of their possessions whilst Manchester drove the ball effectively, they couldn’t punch it into the endzone. 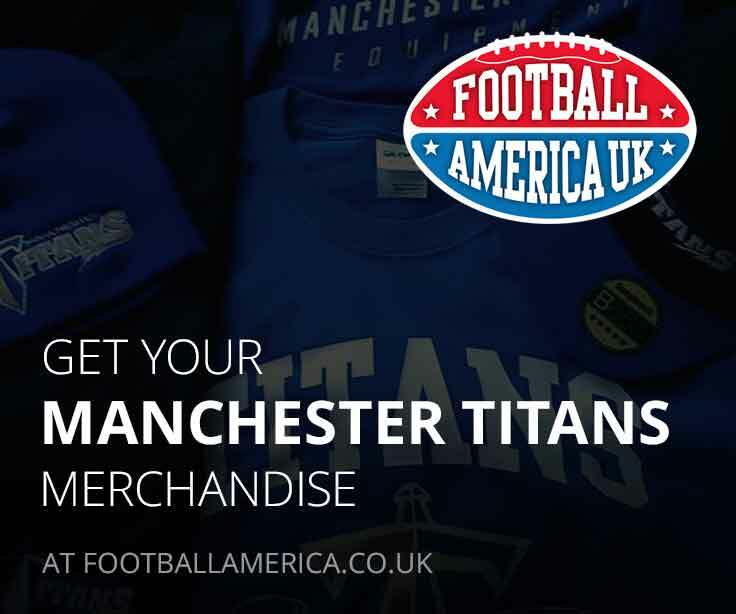 In the 2nd half, the Titans took a few more risks which unfortunately led to a couple of turnovers and a dropped pass in the endzone left the Titans scoreless and on the wrong end of a 67-0 loss. The 2nd game was against the University of Nottingham Green team – whom the Titans had already beaten 19-13 in the first tournament. 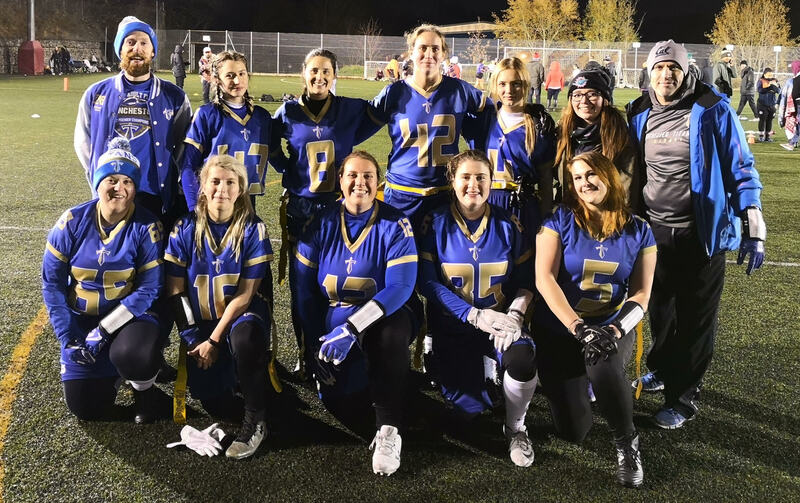 This time, Manchester switched to a much more aggressive defense and it paid dividends as they intercepted the Nottingham QB 7 times – Brianna Hartridge making 3 and Julie Gilmour recorded a team record 4 interception, including 2 pick sixes! Hartridge also threw 7 TD passes, 5 to Keely Edmonds and 2 to Becky May, and also caught a TD Pass from Edmonds as the Titans romped to a 65-18 win. 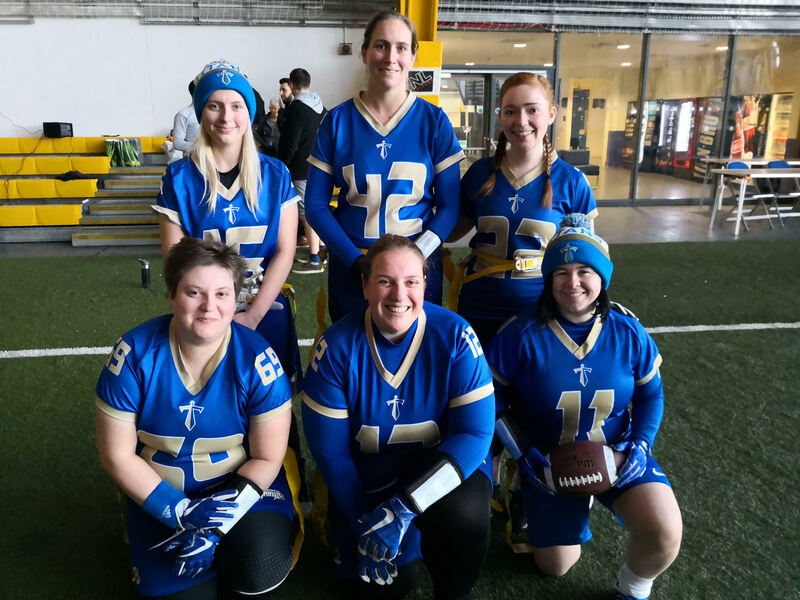 Next up was the University of Nottingham Gold, who had been a tough 12-7 victory for Manchester previously but they came out firing and took an early 12-0 led. The Titans came back with Touchdowns from Edmonds & May but a late interception thrown by Hartridge allowed Nottingham to seal a 24-13 win. Defensive Captain Gilmour again led the way with a sack and a tackle for loss for Manchester. The last game of the day was against local rivals Chorley Buccaneers. With the Titans now down to 7 players, 3 carrying injuries, fatigue led to an ineffective game from the offense only managing a lone TD from Edmonds to May with Mo Jessop adding the XP as they went down 19-7. The Titans record is now 4 wins and 4 losses with the home tournament on Saturday 3rd November at Flixton Girls Schools from 12pm to 4pm.